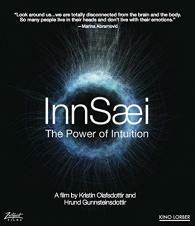 The ancient Icelandic word for intuition is "innsaei", but in Iceland it has multiple meanings. It can mean the sea within which is the borderless nature of our inner world. It can mean to see within which means to know yourself. And it can mean to see from the inside out which is to have a strong inner compass to navigate your way in our ever-changing world. The inspiring and thought-provoking InnSæi the Power of Intuition takes us on a soul-searching, global journey to uncover the art of connecting within in today s world of distraction, disconnection and stress. We meet world-renowned scientists, artists and spiritual leaders, as well as an extraordinary group of British schoolchildren who are learning how to better cope in today s world by unlocking the power of nature and mindfulness. Illustrated with gorgeous animation and stunning imagery, InnSæi is a film like no other, and one that offers radical insights into how we think and sense the world today.